The Oracle recruitment team have an enviable referral and relationship network developed through dedication and a belief in the personal touch. The largest Oracle resource users in the world use our Oracle recruiters, because time and time again they’re proven to know the market better than anyone else. Initially Whitehall were not on our PSL - This has now changed! Being unable to source the right candidate directly from the market place, or from our usual Resourcer’s, for an Oracle R12 Techno-Functional role I reached out to Whitehall Resources. Working within my timeframes they were able to provide suitable candidates who have since been extended on multiple occasions. As such, I would use again and recommend to others as well. 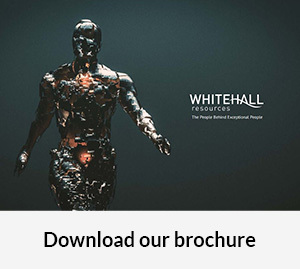 Whitehall Resources are an excellent recruitment service provider; honest, efficient and experts in their field who produce quality results every time. They have proven to me that they are a business that excels in what they do and whose staff are a pleasure to work with and are there when I need them. They are not pushy recruiters; they always act with integrity and in our best interest. Quality recruitment partners and relationships can be hard to find and I am pleased to say that Whitehall Resources are one of the best in the business. We had an urgent requirement for Oracle HR functional consultants. Whitehall were quick to send a pipeline of strong candidates, one of whom we hired. Whitehall clearly know their market, handle the recruitment process well, from management of candidates, setting up interviews, feedback and offer process. Whitehall can deliver high quality, relevant candidates quickly and on budget.